Join us for Farm to School Day! The Illinois Farm to School Network is hosting a full day of activities and trainings for schools and families across Northern Illinois. 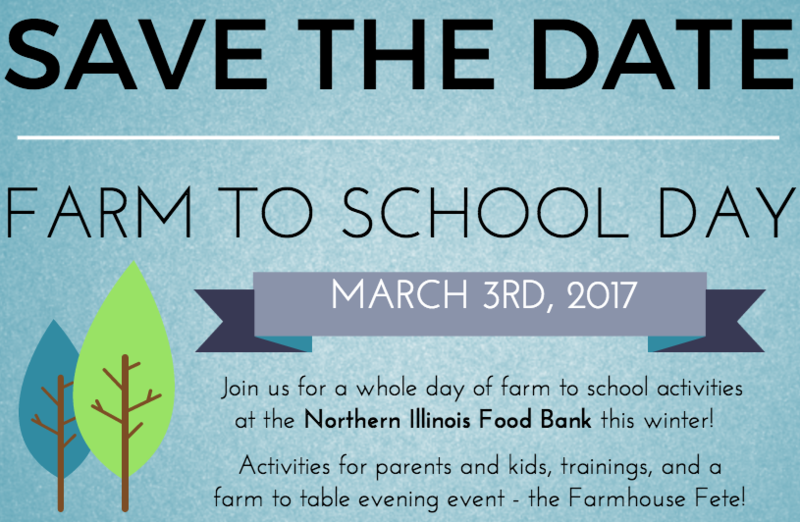 Save the date for March 3rd, 2017 – Farm to School Day! We are offering workshops for teachers and food service professionals, activities in the afternoon for families (bring the kids), and an inspiring evening with a keynote and fun farm to table celebration. Learn more at the Farm to School Day site here. Register for the event on Eventbrite. Looking forward to seeing you there! It’s a School Lunch Revolution and You Can Have Front Row Seats!